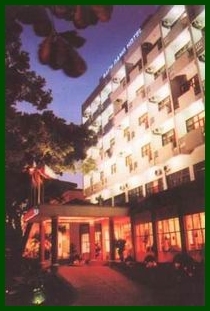 Bach Dang Hotel is situated in an area shaded by trees along the main Halong road in Bai Chay, facing the Halong ferry station. 82 international standard rooms are housed in a new 7 story building and an adjacent, older building. 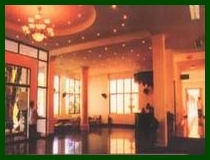 The hotel is located opposite Halong Ferry Station, past a channel to Halong city. About 1.5 km to Bai Chay Post Office and 15 minutes drive to Halong Jetty. 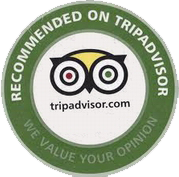 Only 100 m to the bus station and 2 km to the Halong Royal Park and the Halong Casino. Bach Dang Hotel has small and big sized up to 200 seated restaurants serving various delicious dishes wich suit with customers' different tastes and appetites. Standard: twin and double rooms with an area of 22m2. 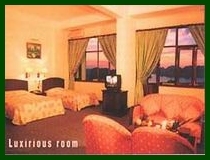 All rooms are carpeted and have a big window overlooking Halong Bay. The rooms are clean and airy. Deluxe: feature double and twin bed rooms. There are 22 rooms with private bathroom with shower and 38 rooms with bathtub. All the rooms have a big window or balcony facing either the sea or the town. Triple occupancy is available.